Benjamin Comrada, Carver Jr. High School vice principal. 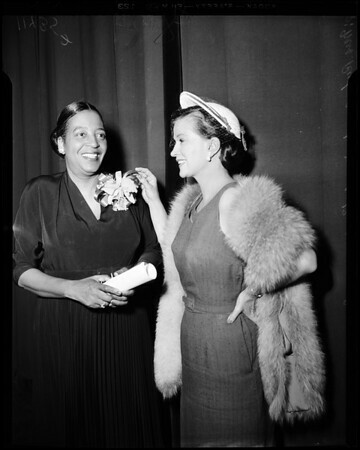 L/R Mrs. Ruby Berkley Goodwin, Calif. mother of the year, gets award from Rosemary DeCamp, TV actress. Mrs. Goodwin alone."